1st & 3rd Wednesday - 6:30 P.M. The Burlington Washington Lions Club was chartered in February 1977. Edward J. Brunz is the only remaining charter member. Michael L. Forst joined the club in November 1979. Being a Lion member empowers you to help others in a way that no one person could do alone. 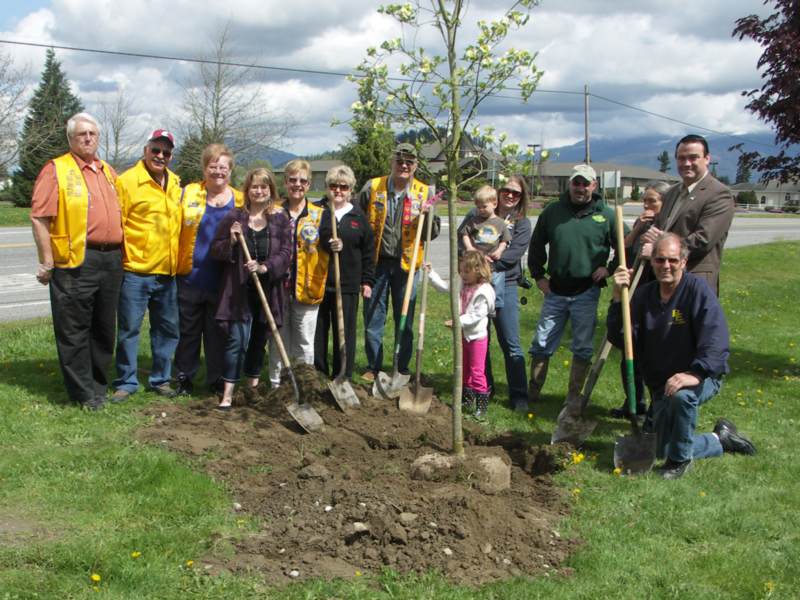 The Burlington Lions participate in community service projects. We have eyeglass recycling boxes around town and have several projects to benefit various groups in the Burlington-Edison School District. We have a concession trailer that was seen this year at the Back-to-School event in Maiben Park in August and at soccer tournaments. Each year we sponsor one team of girls and one team of boys for the Burlington Little League and Burlington Youth Soccer and provide camperships to Camp Horizon, a Lions camp for the disabled in Blaine, Washington. In 2017 we contributed $500 to The Burlington Library Foundation. We do fundraising to have money to provide glasses and hearing aids to those who cannot afford them. Our concession trailer can be seen at soccer tournaments. We have an annual 300 Club Dinner and a Potato Feed at the Burlington Eagles and collect funds from the community the first weekend in May for “White Canes Day” to benefit the Northwest Lions Foundation in funding patient care grants and project support grants to provide eye care and hearing services for those who cannot afford them.